Best Reviewed Pillows 2019 - Which Pillow Should You Buy? 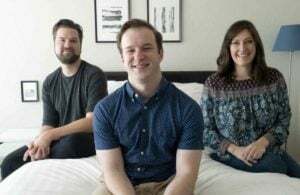 Home » Best Reviewed Pillows 2019 – Which Pillow Should You Buy? Best Reviewed Pillows 2019 – Which Pillow Should You Buy? I’ve had the opportunity to review more than 20 pillows featuring a huge range of fillings, covers, and unique qualities. I’ve done my best to come up with a comprehensive list of the top pillows that should suit all sleep needs and preferences. Is there one perfect pillow that meets everyone’s needs? No way! That’s because we all sleep differently. And that’s one reason you’ll find so many different types of pillows on the market, with new fabrics and technologies designed to help you get your best sleep. This enormous amount of choice can seem daunting at first, but if you use my experiences with these pillows and combine it with your own personal checklist, it won’t take you long to find the right pillow for you. Why the Coop Home Goods Original from Coop Home Goods? In order to keep their heads and necks supported, side sleepers tend to need a pillow with more loft and height. This pillow comes overstuffed (meaning it’s got a lot of height), and the shredded pieces of memory foam that comprise its filling are large and won’t go flat on you. It’s also got a super-soft outer cover made with rayon or viscose from bamboo. You can machine wash and dry the pillow (though we recommend just washing the removable cover only). You can see the entire Coop Home Goods Original pillow review by clicking HERE. Why the Helix from Helix Sleep? Helix’s pillow completely rocks for people who sleep in all different positions because it has adjustable comfort inserts that you can take out or add depending on which position you’re sleeping in. There’s no mess involved in pulling out the inserts (i.e. no need to go looking for a plastic bag to hold extra stuffing!). It’s really easy to add or remove the inserts depending on what feels comfortable to you at the moment. If you’re a hot sleeper, check out the Helix Cool, which is the same pillow design but features a cooling fabric. Helix says the Standard size pillow works best with a Twin, Twin XL, Full, or Queen mattress. The King size pillow will work perfectly with your King or CA King mattress. 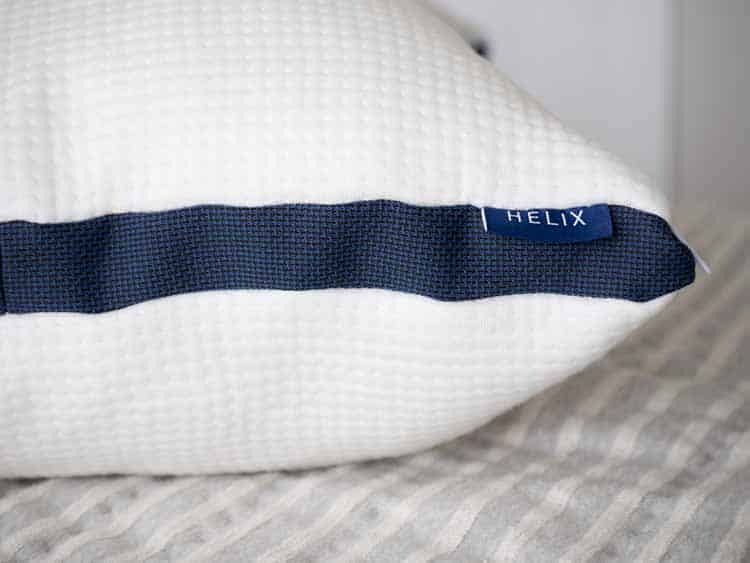 To learn more about the Helix or Helix Cool pillow, click HERE. Why the TEMPUR-Embrace from Tempur-Pedic? The Tempur-Embrace is a crazy shape, but it’s crazy comfortable for people who like soft pillows and sleep primarily on their stomachs (or even backs!). The K- or X-like shape allows the side of your head to rest comfortably without feeling smothered or suffocated. 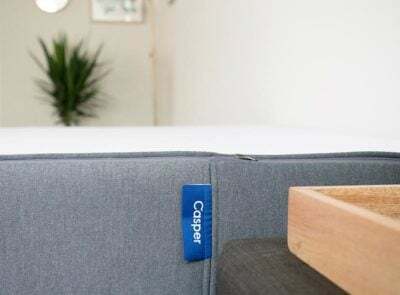 The super-soft removable cover and a mix of shredded memory foam and a memory foam pad allows for some adjustability along with room for movement, making it as comfortable as can be. Check out the full TEMPUR-Embrace pillow review HERE. 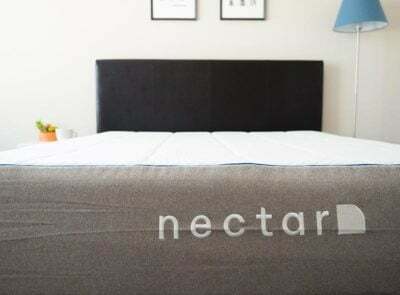 Why the Easy Breather from Nest Bedding? People who sleep primarily on their back will enjoy the Easy Breather because of its unique filling: 75 percent shredded memory foam pieces and 25 percent polyester fibers. This pillow has a memory foam feel without being overly firm. That’s good news because excessively firm pillows can sometimes lead to neck stiffness and soreness. It’s adjustable, so it could work for any position. But it’s an especially nice fit for back sleepers! There’s also a natural shredded latex easy breather option as well. 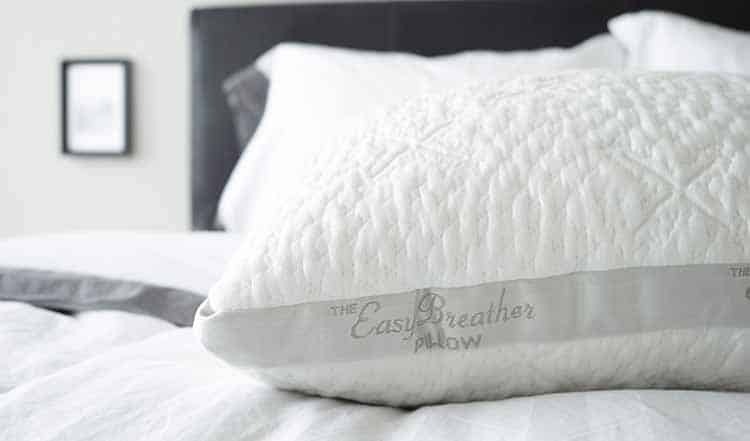 Learn more in my full Easy Breather pillow review HERE. Why the Hotel White Goose Down for Back/Side Sleepers from e-Luxury Supply? 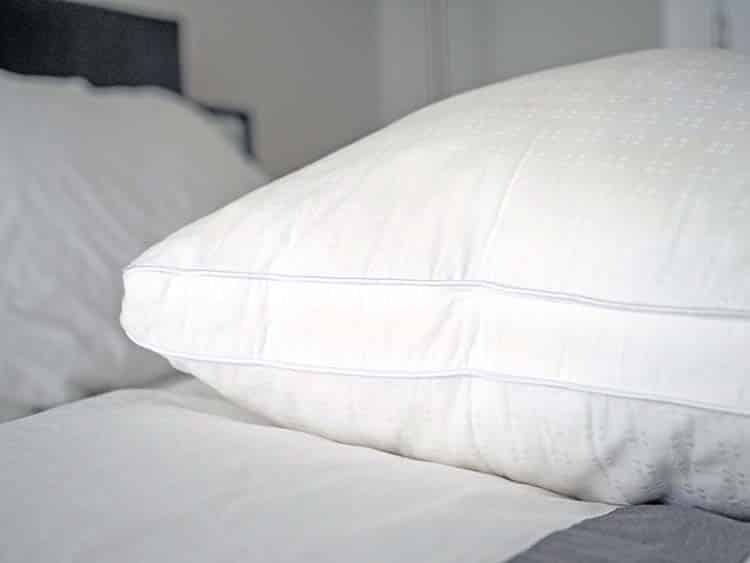 Check out the full eLuxury Supply Hotel White Goose Down pillow review HERE. Why the Helena from Brentwood Home? The Helena pillow from Brentwood Home is filled with shredded pieces of natural latex ribbons and something called Kapok fibers, which are derived from seed pod fluff from rainforest trees. 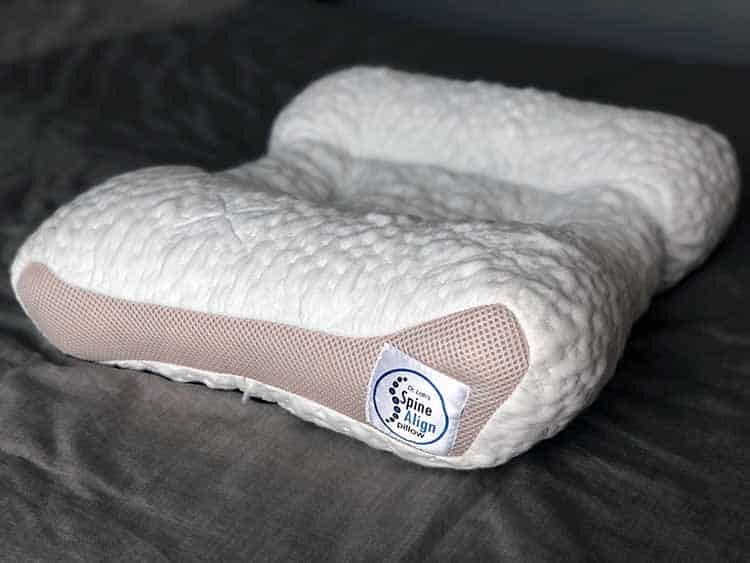 The outer cover is organic and the whole pillow is synthetic and pesticide-free, making it a great option for anyone looking for a more natural pillow. The pillow is adjustable, so you can add or remove the filling. 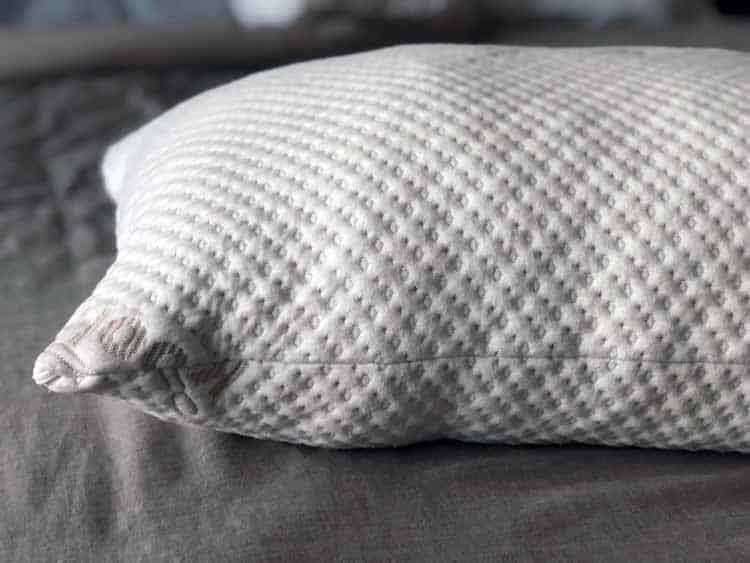 Learn more about the Brentwood Home Helena pillow HERE. Why the Down Alternative from Five Star? This is a great pillow to consider if you are on a budget but don’t want to sacrifice comfort and durability. It comes in four different sizes, including standard and Euro. It has a crisp cotton cover. The whole pillow is easy to clean. It retails for about $35 for a Queen (depending on the retailer). 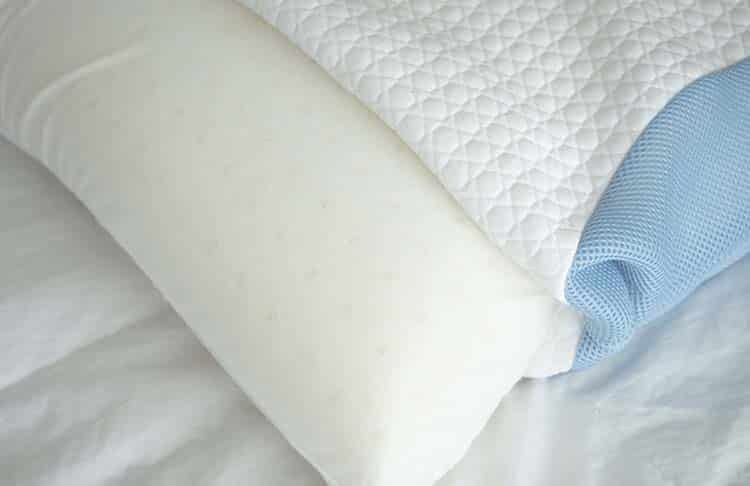 Check out the complete Five Star Alternative Down pillow review HERE. Why the Bear from Bear Mattress? The minute you touch it with your hands, you’ll feel the cooling yarn that’s woven into their Double-Ice fabric. The whole pillow has a cold, smooth, almost performance-wear-like feel to it. It has ventilated mesh sides. If you remove the cover, you’ll find the Loft-X hybrid foam inside is ventilated to further promote airflow. Check out the complete Bear Pillow review HERE. Why the TEMPUR-Cloud Breeze Dual Cooling from Tempur-Pedic? Tempur-Pedic offers a diverse selection of pillows. We’ve already mentioned the TEMPUR-Embrace as one of our top picks, but we also love the TEMPUR-Cloud Breeze Dual Cooling for different reasons. This pillow is large and significant — it’s filled with a solid piece of molded memory foam that comes in at over 6″ in height. Did we mention it weighs 7lb? 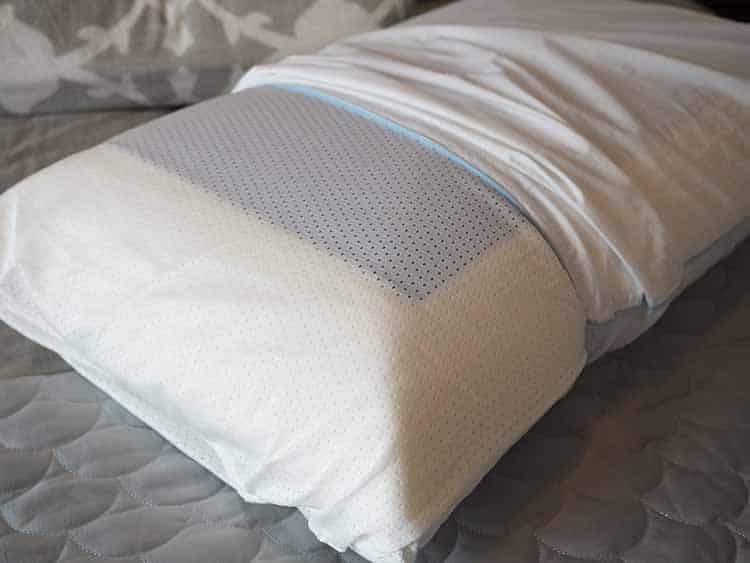 The benefits of this pillow are that it includes a gel pad that really does keep the pillow cool, while its medium firmness and density ensure it won’t go flat or move around on you at night. It’s a substantial pillow that may benefit people with larger body sizes or frames who apply more pressure to their pillow(s). 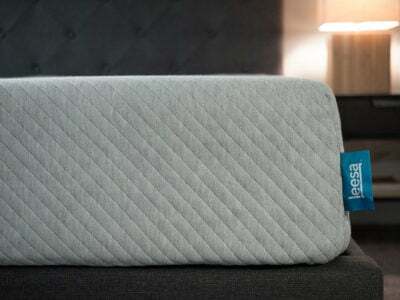 We’ve got our complete review of the TEMPUR-Cloud Breeze Dual Cooling pillow HERE. Why the Snuggle-Pedic Adjustable Shredded Memory Foam from Snuggle-Pedic? To say Snuggle-Pedic’s Adjustable Shredded Memory Foam pillow is well-loved on Amazon may be an understatement. The pillow has more than 10,000 reviews and averages 4.5/5 stars. More than 85 percent of the reviews are 4- and 5-star reviews. There really are good reasons to like this adjustable pillow! 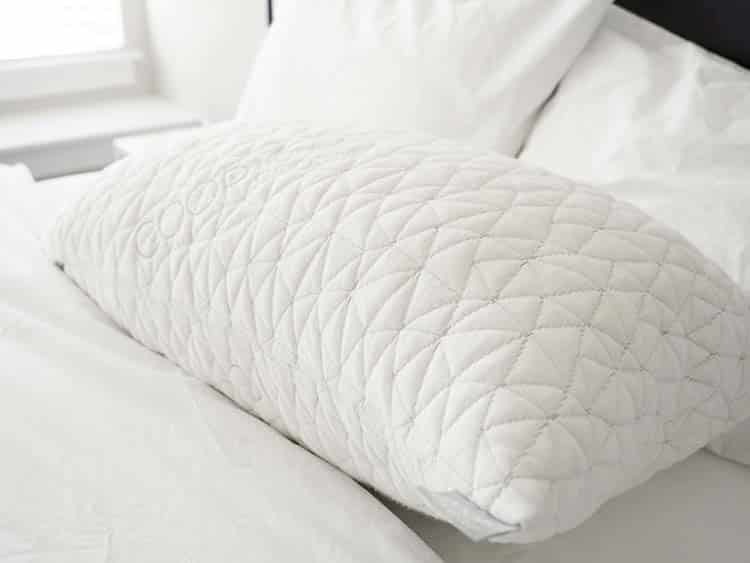 The pillow features a breathable, soft viscose from bamboo/polyester knit cover. 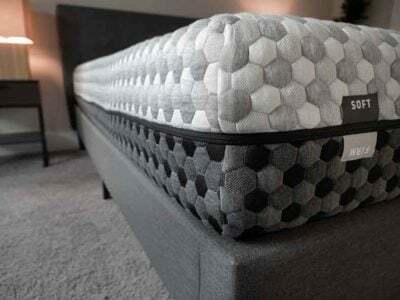 It’s filled with a proprietary mix of shredded foam pieces that people can add or remove until they find the perfect firmness and loft —making it a good fit for all types of sleepers. It’s relatively affordable. And the makers of the pillow encourage customer feedback and offer free customizations (such as additional pillow filling) if you need them! Read the complete pillow review and check out our video HERE. Dr. Loth’s SpineAlign pillow was designed by a chiropractor (Dr. Loth!) with the intention of helping back and side sleepers find a position to sleep in that would be healthy for their heads, necks, and spines. 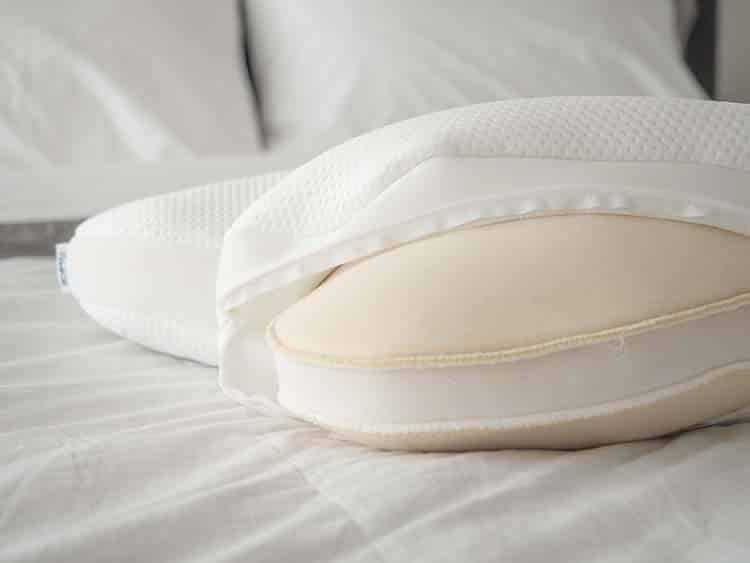 The contour pillow is unique in that it features two outer chambers and an inner chamber that are all filled with a blended mix of foam and fibers for support. You can access each chamber individually and customize the pillow so your head and neck are neutrally aligned. The pillow really takes so many personal needs into consideration, including sleep position and even height. (So follow the directions carefully!) With so many details in place and the medical experience behind the creation, it’s a great pillow option for those dealing with neck pain. Check out the complete SpineAlign pillow review HERE. 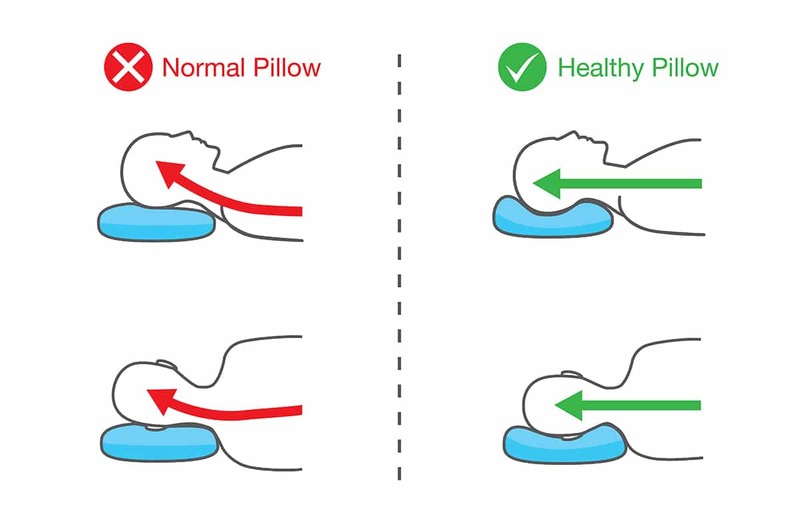 What Are The Different Types Of Pillow Filling? Take a look at any bedding or department store, and you’ll see more pillows with different fillings and combinations than you know what to do with. Honestly, it can be overwhelming to figure out which one is right for you. Below is a list of some of the most popular and lesser-known fillings today. 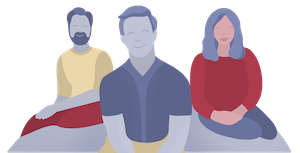 If you’re interested in learning about some more lesser-known options, you can check out our list here. Changing up your sleep position may also help alleviate neck or back pain. Try to sleep on your back or on your side, say experts, who also recommend that people avoid sleeping on their stomachs. “Imagine standing and looking one way for two or three hours at a time. Stretching your neck muscle for that long creates soreness,” explains Dr. Andrew Bang, DC of the Center for Integrative Medicine at the Cleveland Clinic in a post on the clinic’s website. Rest easy knowing that your dream pillow is out there waiting for you. 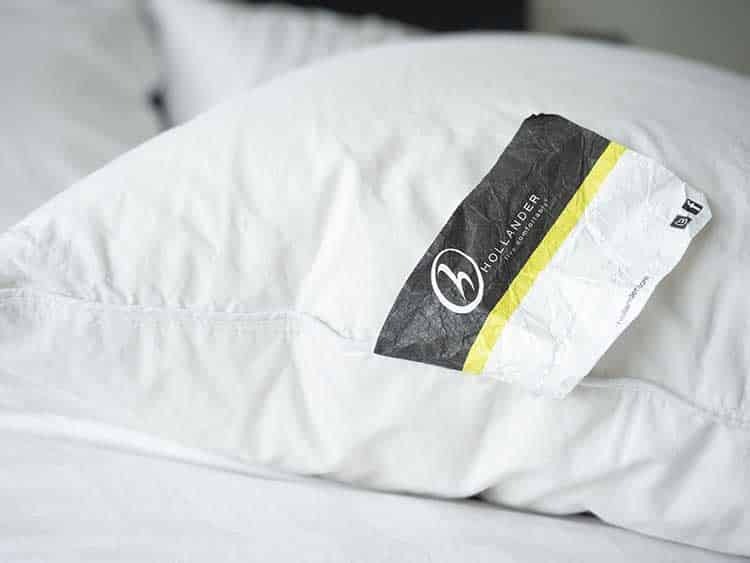 There are so many different pillows and brands out there along with many risk-free options. 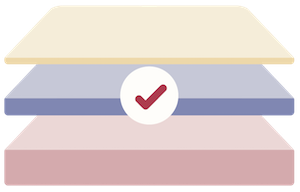 This list is intended to be informational and help guide you in the direction of the best pillow for you based on your specific needs. Don’t feel like you have to absolutely love the first pillow you try. Instead, be willing to shop around until you discover the very best pillow for you. I like the Coop,Pillow. The foam rubber fill is comfortable and I need a pillow featuring neck support. Being a side sleeper, I would sleep well. Awesome pillow… great night’s rest. These pillows are made to give you the best night of sleep and rest you and your body has ever had.